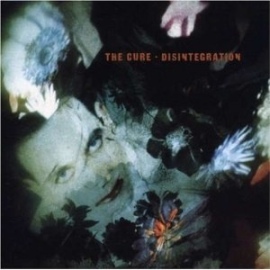 Disintegration, the Cure’s 1990 album, could be seen as the bridge between the start of the group’s mainstream popularity with Kiss Me, Kiss Me, Kiss Me and critical mass appeal in Wish. But when you boil it down, this record was Robert Smith and Co.’s at their prime on a musical and aesthetic level where they still touched on themes of doom and gloom (the title track, “Prayers for Rain”), yet also offered moments of that can be interpreted as upbeat like on the wonderful “Pictures of You” and the romantic “Love Song” (the Cure’s biggest American hit); other memorable gems include “Lullaby” and “Fascination Street.” Celebrating its 20th anniversary, this deluxe reissue features an extra disc of demos, and another of live performances called Entreat Plus. Of the Cure’s long body of work–over 30 years and counting–Disintegration is definitely one of the essentials.